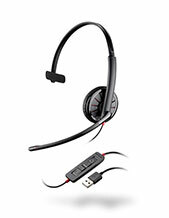 Plantronics EncorePro HW510D Monaural Digital Headset is a corded audio device that is used for better and enhanced interactions and conversations. 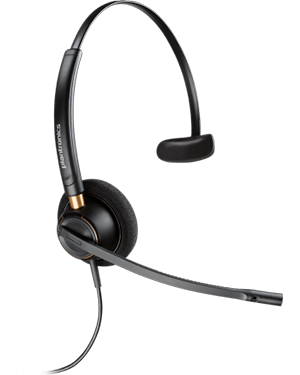 It is excellent for customer service centres in need of an affordable and innovative headset to support their call handling and management needs. Plantronics EncorePro HW510D Monaural Digital Headset also has an incredibly comfortable design that can be used for an entire day without feeling any form of uneasiness. It has an ergonomic design and elegant style that can be appreciated in a professional set-up. The Plantronics EncorePro HW510D Monaural Digital Headset is reliable and can serve as an investment for companies and contact centres, especially since it’s been engineered to be durable and so can last for a very long time. It is also structured to be able to cater to the demanding environment of contact centres and busy offices. Give us a call today to access more information about this item. Dial Australia wide 1300 131 133! Plantronics is headquartered in Santa Cruz, California, where it conducts its major operations and transactions with the leadership of President and CEO Joe Burton. With approximately 5,000 employed experts worldwide, the company excellently cater to customers’ needs through decades of experiences, powerful product portfolio, and top-notch and innovative employees. 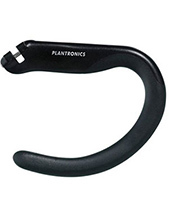 Plantronics conducts its production and manufacturing process in Mexico and China and operates in over 80 countries all over the world, with the help of many service and telephony providers, OEMs or original equipment manufacturers, wireless carriers, retailers, and distributors. These countries are located in Asia Pacific region, Europe, and North America. Headsetsonline Pty Ltd is an Australian audio and sound products and solutions distributor and wholesaler. It started as a division under a popular enterprise who has been doing the same thing since 1998 and is well-trusted by government agencies and corporate sectors when it comes to their headsets and audio needs. Headsetsonline get their products and solutions from reliable Australian distributors, ensuring that the offers are Australian standards certified. Choosing Australian distributors over grey imports, it means more than just quality products but also warranties together with these products and solutions are guaranteed to cover Australia-wide and so would work wherever customers are located all over the country. 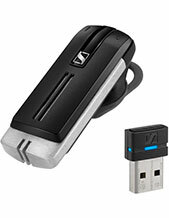 Headsetsonline provides excellent product deliveries with flat shipping rates for customers Australia-wide. Taking into account the needs of customers at all cost, the company makes sure that customers won’t be hassled with surprise chargers and hidden fees when the products are finally delivered to their doorsteps.